Online marketing encompasses all marketing operations that take place on the Internet using digital resources. There are many forms of online marketing that include website content, landing pages, search engine marketing, affiliates, and more. 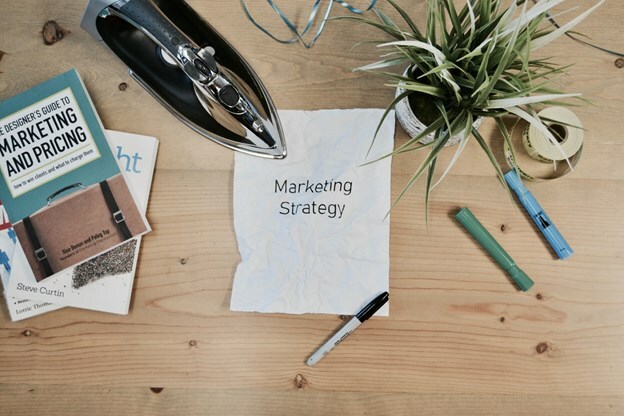 Different kinds of marketing strategies have different purposes. For example, search engine marketing is designed to attract attention to an organization’s web presence, while a landing page may be created to increase subscriptions to an e-mail newsletter. Online marketing is also known as Internet marketing. It involves any process that utilizes the Internet to promote a business, brand, or organization online. That includes advertising methods that are crafted to drive traffic to a website, increase leads, or increase sales. This term is sometimes used interchangeably with content marketing. 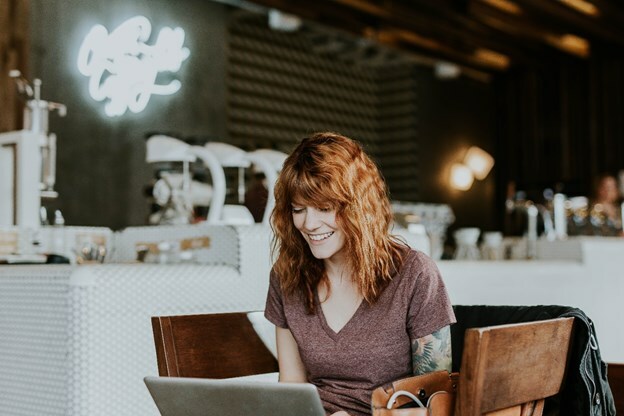 Although content marketing is one of the most popular ways to engage in online marketing, it is not the only way for an organization to advertise on the Internet. To support marketing operations SEO services such as SEO texts for online advertising material can be ordered from content agencies such as clickworker. Website Content: A website forms the foundation of an organization’s online marketing campaign. It is the place where an organization can present information, attract new customers, and it can even provide the organization with a stream of income through sales. Screen Displays: Banners, advertisements, and landing pages are all forms of screen displays. They can show up on a business’s own website, or they can be utilized on other websites on the Internet. Text, pictures, and video can all be used to reach a wide variety of advertising goals. Search Engine Marketing (SEM): SEM boosts a business’s chances of being found on the Internet. Various search engine optimization (SEO) techniques are used to ensure search engines easily find them, and people using those search engines to scour the web. Content Marketing: Articles, blog posts, and e-books are all ways a business or organization can attract customers and clients. They are a way to connect with a target audience on a personal level, while increasing brand loyalty and selling products and services. E-mail Marketing: This is a popular way to connect with customers and clients on a regular basis. When done properly, it is a great way to announce new products, secure a sale, and generally stay in-touch with repeat customers and clients. Affiliate Marketing: A company can partner with an affiliate on social media to promote products and services on their behalf. It can enable a business or organization to connect with others in a genuine way by allowing someone else who is passionate about their brand to promote their product. Social Media Marketing: This form of advertising is popular with customers and businesses alike because it provides a two-way communication, allowing a brand to interact in meaningful ways with its customer base. The specific goals of online marketing vary depending on the particular form that is being used. For example, SEM is used to increase exposure on the web, while a landing page is used to encourage website visitors to sign up for an e-mail newsletter or download an e-book. 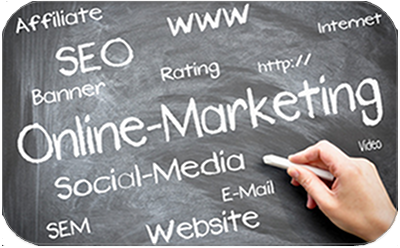 Some online marketing strategies may have more than one goal. For example, a blog article is a good way to demonstrate expertise, but it may also direct readers to an interior service page. E-mail marketing campaigns can be created to increase interest in a new product or get a customer to return to the site to process an order. As is the case with traditional advertising, the main goal of all online marketing strategies is to earn more money, whether directly or indirectly. Inbound marketing is different than outbound marketing, and the comparison is relevant when it comes to online marketing and traditional marketing methods. Online marketing is a form of inbound marketing. Its primary goal is to “pull” customers and clients to the brand. People search for a business’s product and are lead to the brand’s webpage. This page often times entertains and informs as well as advertises. Traditional marketing is considered outbound marketing. It includes popular advertising methods from decades ago such as television commercials, radio ads, and billboards. Its goal is to promote a product, which means it is a form of “push” advertising. Communication only flows from the advertiser to the audience, customers are often bombarded with messages, whether they like it or not, and its primary goal is to sell, not entertain or educate. Consumers today regularly shun traditional advertising, which makes inbound marketing more important than ever. Consumers are looking for genuine ways to connect with brands, which means turning on the add blockers, not watching cable television, and heading online to search for new brands. Some studies have shown that inbound marketing methods pull in three times as many leads as traditional advertising. 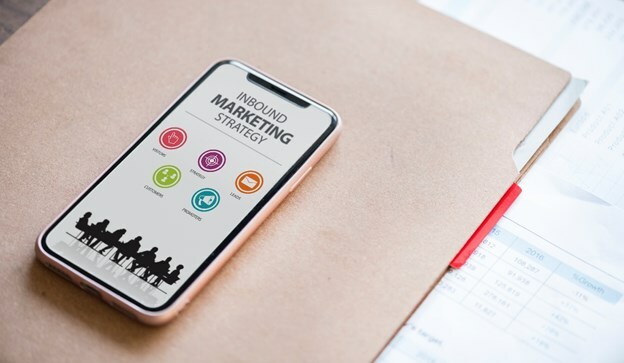 Because most forms of online marketing are considered inbound marketing, they are a more successful way to connect with clients and customers. They are a more genuine way to reach out to a customer base, establish trust, and connect with a target audience, which in turn leads to better brand recognition and higher sales. However, there are other benefits of this type of advertising. It is often more affordable than traditional advertising methods. Instead of paying to create and tape a commercial, then paying to put it on air, businesses on a tight budget can create a social media page or a blog for no money at all. In addition, this form of advertising is easier to track and tweak. Online platforms and apps allow a business to determine how many visitors convert after being faced with a landing page, how many people visit the website every day, and how many followers they have on social media on a minute-by-minute basis. Using that information, a business or organization can tweak its online marketing strategy to increase conversions, sales, or reach any other goal they have for their business.